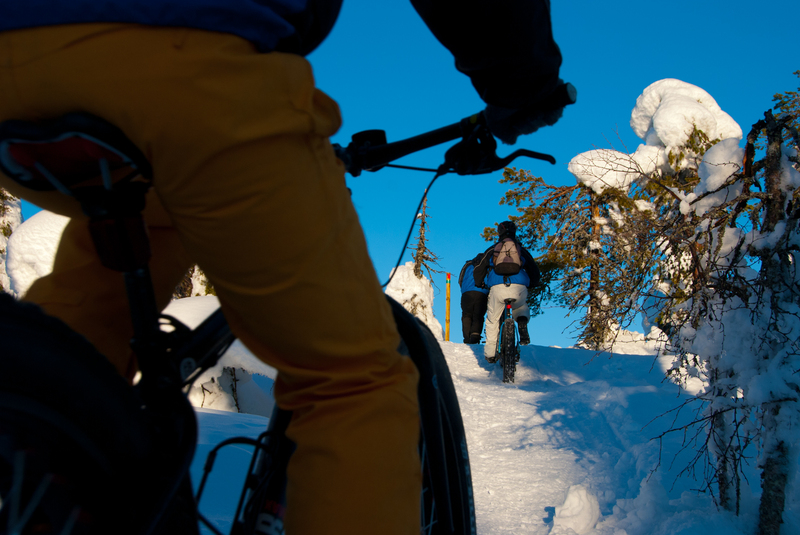 Experience Oulanka national park during winter with a fatbike! 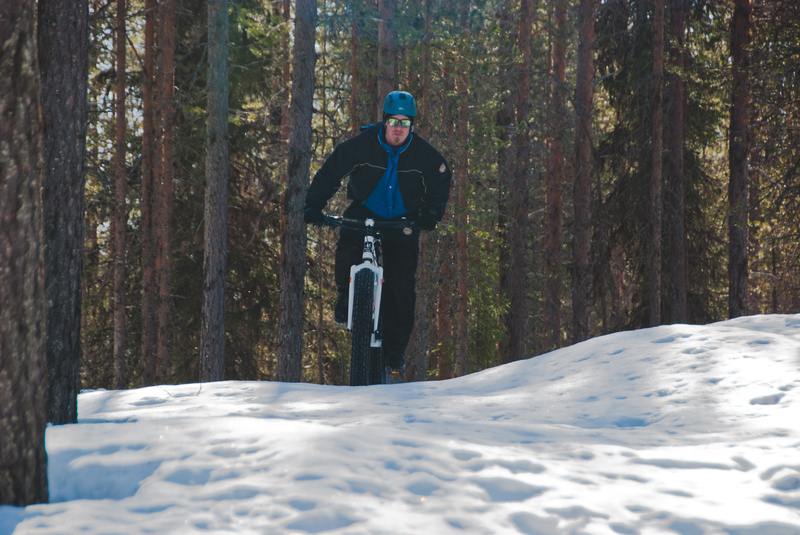 Your path takes you from the Oulanka visitor center to Juuma on a winter track. 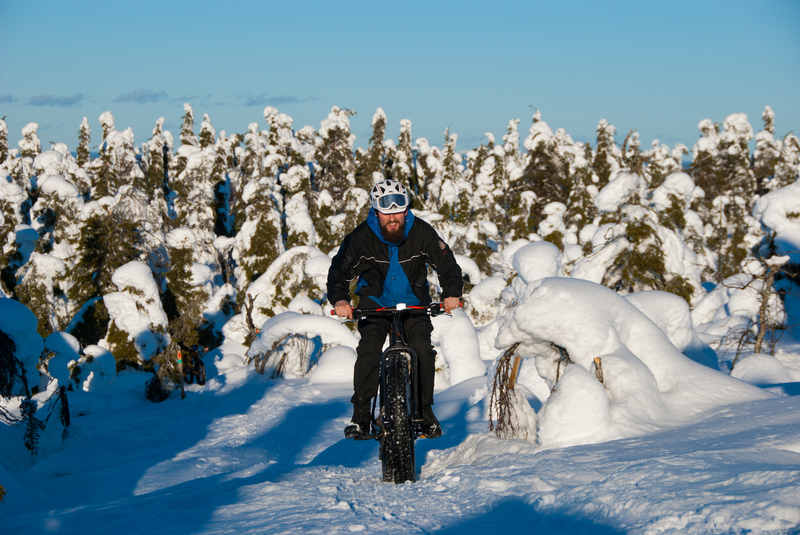 While you cycle you will be able to see many tracks in the snow: did you spot the moose, hare, wolverine and black grouse? 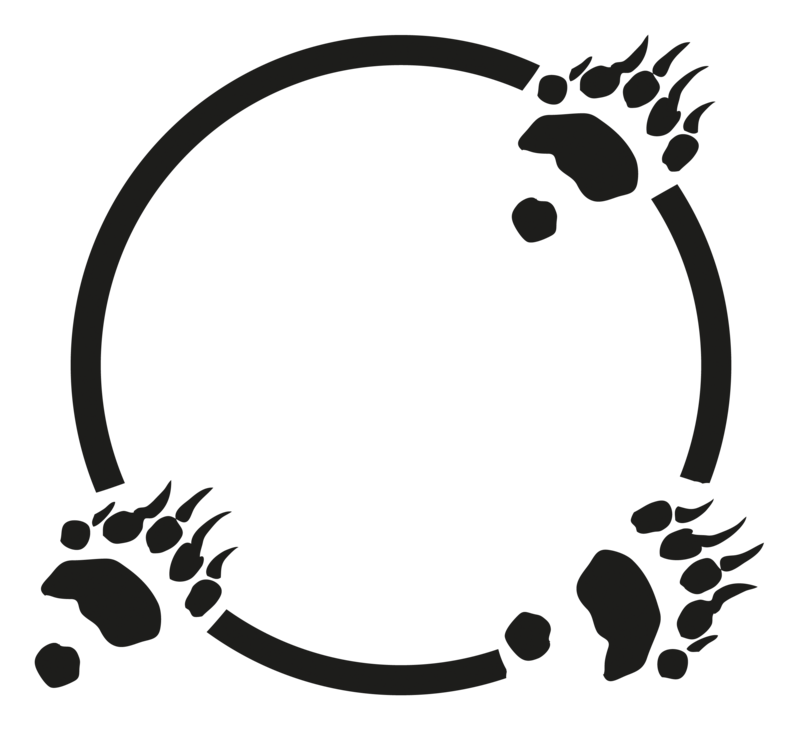 You will follow the winter route in the national park. In the beginning you will follow the river bend and admire Oulanka river far below you. On the way there are wilderness huts, you can decide if you want to bike all the way in one day or sleep in one of the huts. The terrain varies and has uphills and downhills. Length of the route 26km. 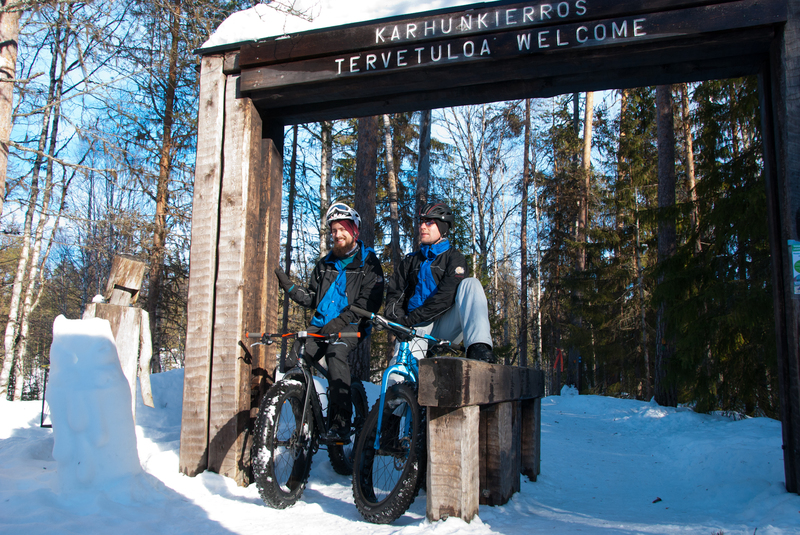 Start at Oulanka visitor center, biking to Juuma Basecamp Oulanka. 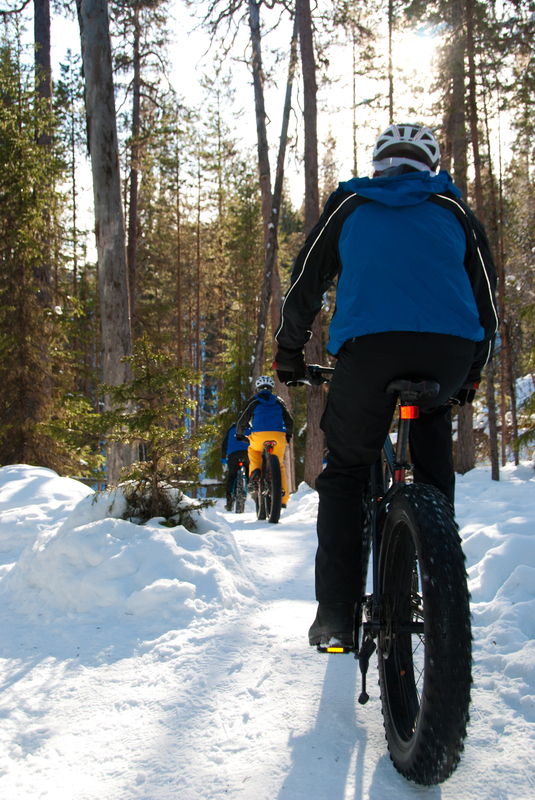 includes equipment (bike, helmet, clothes if necessary), donation to wilderness protection, transfer back to Oulanka Visitor Center, VAT. Possibility to rent other camping gear for extra cost.